Let’s get one thing out of the way: the Nord Stage 2 HA76 is an awe-inspiring piano. 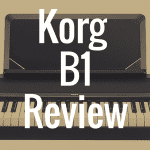 But before we break down why that’s the case, and even compare it to a Korg Kronos or even a Nord HA88, let’s just briefly compare how the HA76 compares to some of the best pianos in its class. In the table below, please see how the Nord Stage 2 HA 76 stacks up against other Nord pianos like the HA88 and SW73, as well as its competitors like the Yamaha Motif XF7 and even the Korg Kronos. 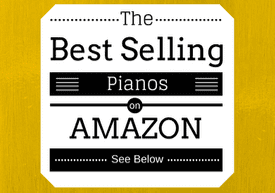 All pianos listed below have been compared according to metrics like number of keys, weight, price, and overall customer rating on Amazon.com. The maker of Nord digital pianos is actually a company called Clavia, based in Stockholm, Sweden. Founders Hans Nordelius and Mikael Carlsson started the company in 1983 in the basement of Hans’ home (don’t all great music-related business start out like this?) by making electronic drums. It wasn’t until 1995 that they created their first synth, the Nord Lead. In 2005 they introduced their first stage piano, and here we are now, a few models later, talking about the Stage 2 HA76. Now, how many of you know that digital pianos come in other colors besides black? Or white? A lot of you, I’m guessing. Well, one of the characteristics of Nord keyboards which sets them apart from the rest of the pack is that they’re red. So, now that you’re a little bit familiar with the brand, let’s talk specifically about the Stage 2 76 keyboard. I say “keyboard,” but it’s really a 76-key stage piano. A lot of the other digital pianos we’ve talked about in previous reviews and buyer guides so far have been 88 keys. The Nord Stage 2 does come in an 88-key version, in case you were wondering (you can also get a 73-key model). But here, we’re going to talk about the 76-key model. And if you need four words, how about this: awesomeness in a box. The HA76 carries a much higher price tag than some of the other models that have been reviewed here. But oh, my goodness, does this thing sound dreamy! After hearing this baby, you might not want to go back to your old keyboard or digital piano. 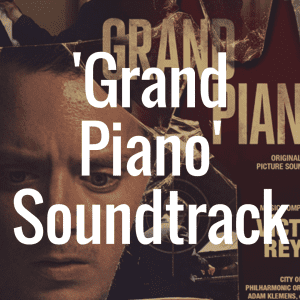 And if you don’t trust my words, click here to listen to a demo of the piano, and trust your ears instead. 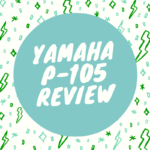 In the piano section, you get a healthy selection of acoustic grands (including a Bosendorfer Imperial Grand), uprights, electric pianos, Wurlitzer A200 electric, clavinet, harpsichord, and electric grands such as the Yamaha CP-80. Among the options unique to the Nord, there is a String Resonance function, which reproduces the sound of the piano strings resonating at their fundamental or harmonic frequencies when other strings are played. 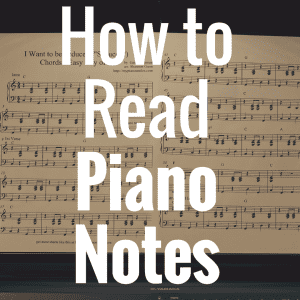 There is also a Long Release option, which provides for a slightly longer release time on the notes, suitable for legato playing. It’s designed to mimic adjustment of the damper tension on an acoustic or electromechanical instrument. The HA76 does come with a sustain pedal, too. With the optional Nord Triple Pedal (sold separately) you then get to take advantage of what they call Dynamic Pedal Noise. With the triple pedal you can control the mechanical noise of the damper pedal, and then of course you also have the capability for soft pedaling, sostenuto, and half-pedaling. One unique aspect of the production of Nord keyboards that I’ve yet to encounter in other brands is that during the instrument assembly process, they take the time to individually and specifically tune each keybed for consistent response and balance. A worthy investment of time, indeed. On the HA76 you get 3 organ simulations: Hammond B3, Vox Continental, and Farfisa Compact, as well as rotary speaker simulation. So, how does this work, exactly? Well, you press a button to select which of the three you want to play, and then it’s off to the races. And the onboard controls for the organ section are downright fun. There are 9 “draw buttons” (as opposed to draw bars) that each have their own 8-LED bar graph to show you how far out you would have pulled the drawbar; the more lights on, the farther out the drawbar. Also onboard are setting for percussive effect, vibrato/chorus, and rotary speaker control. In addition, the keybed automatically adjusts itself to respond at it’s highest trigger position, allowing for a more authentic feel and quicker playing. To describe the many different types of synthesis available to you on the HA76 would be beyond the scope of this article, so let’s just say there’s enough there to keep you busy for a very, very long time. The synth engine gives you four different types of synthesizers. The onboard controls are an analog synth lover’s dream, with all the usual knobs you’d expect to find on many classic (and modern, for that matter) analog or “virtual-analog” synths, including various filters and an arpeggiator. Oh, what is an arpeggiator? Well, it might be easier to show you than to tell you, so watch this helpful (and quite in-depth!) demonstration on YouTube to learn more about it. Two other features here include access to the Nord Sample Library and the Nord Sample Editor for your computer, where you can customize your sounds and then load them into the HA76. Programming the HA76 is quite easy. Instead of having to navigate through several layers of screens, all of the programming options are right there on the control panel, and they’re laid out very nicely. The effects section is also very comprehensive. You get tremolo, wah-wah, panning, phaser, chorus, flanger, delay, EQ, and a lot more. All effects are controllable with the push of a button or a turn of a knob. Again, no multi-layers of screens to navigate through. Easy-peasy. Included with the HA76 are two sound libraries, the Nord Piano Library and the Nord Sample Library. The Piano Library contains all of the Nord electric and acoustic piano sounds they make, including German and Japanese grands, some uprights, and classic vintage electrics, including Fender Rhodes, Wurlitzer, and so on. You also get a selection of harpsichords. What’s great about the Piano Library is that you can download different piano sounds directly into your HA76 from your computer and change them out whenever you want. With the Sample Library, you get more than 1,000 samples, including the Mellotron (if you’re not sure what that is, listen to the beginning of “Strawberry Fields Forever” by The Beatles and you’ll get it). Plus, with the Nord Sample Editor, you can design your own samples, too. The Yamaha Motif XF7 is a 76-key workstation keyboard that is a member of Yamaha’s flagship line. The Motif has been around since 2001 and the XF6, XF7, and XF8 are among the latest incarnations. The number of features on this instrument is simply mind-boggling. In brief, you get samples of the highly-acclaimed CFIII and S6 grand pianos, 1,353 total voices, including drum kits, expandability to another 2GB of additional content via flash memory, large LCD screen, built-in sequencer AND Cubase DAW computer software, etc. It would take a whole separate article to list out everything that the XF7 can do, but if you’re looking at the HA76, you should include this as part of your search. The Korg Kronos 73-key model is also well worth a look (they make a 61-key and 88-key version as well). Launched in 2011, the Kronos line is Korg’s signature series. 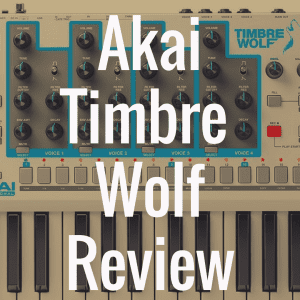 This keyboard comes equipped with Korg’s most up-to-date graded hammer action, a ginormous 8-inch touch screen display, 9 different sound engines, built-in sequencer, and the list goes on. Like the Nord HA76, the Kronos is designed for live playing and synthesis; unlike the HA76, the Kronos gives you a sequencer so you can produce tracks right onboard. Is the HA76 Worth the Money? As you’ve probably figured out by now, the Nord HA76 is most definitely NOT your grandmother’s or piano teacher’s piano. Is it the best digital piano out there for the money? Maybe. It probably won’t score real high on the WAF (wife acceptance factor) meter as far as the décor is concerned, but remember what the purpose of this instrument is for–mainly live playing. So, if you’re in the market for a digital piano that does just about everything except your dishes and laundry, the Nord HA76 should definitely be on your short list. Oh, and just in case you’re not 100% convinced yet, be sure to check out how the Nord HA76 sounds in the video demo below! 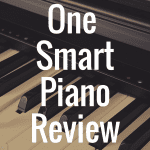 And please return to our website for more excellent piano reviews and news! What’s the Best Digital Stage Piano? What’s the Best Digital Pianos Under $2,000?